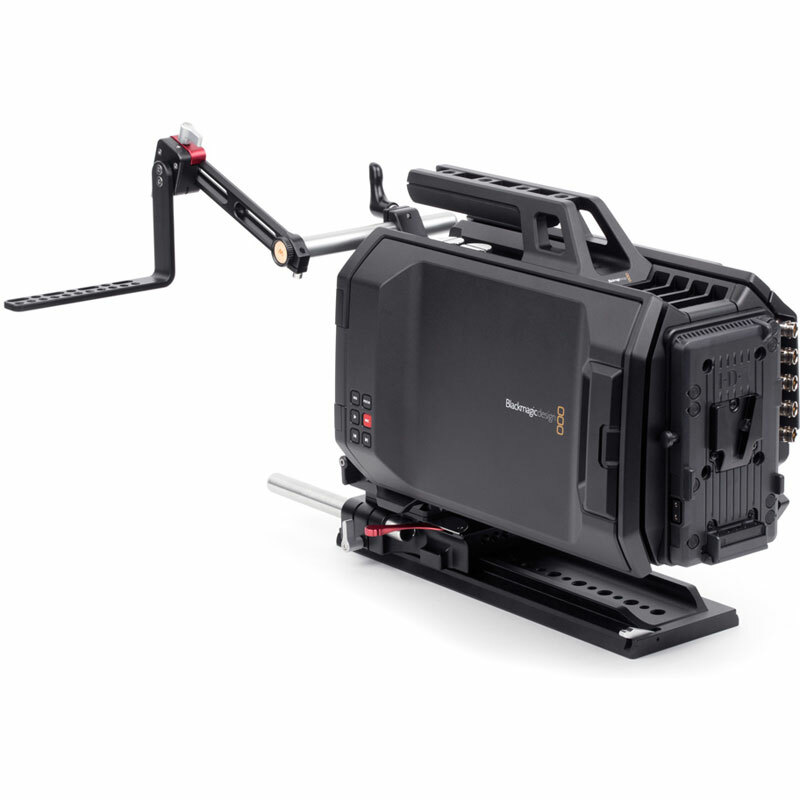 The UVF Mount (LCD, URSA) attaches larger LCD monitors to the Blackmagic URSA camera while keeping the horizon level. 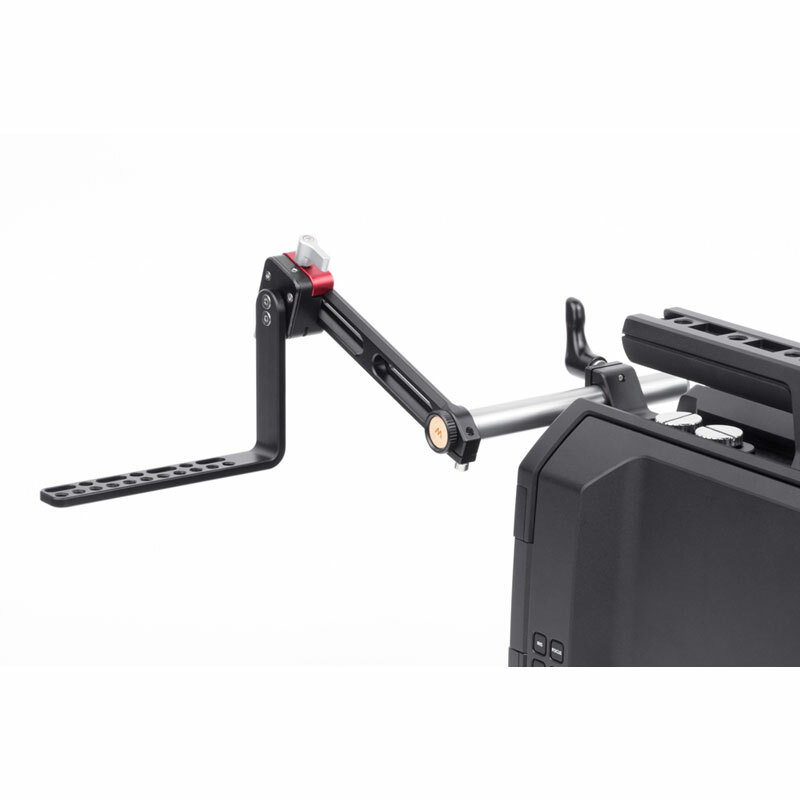 Attaches conveniently to the camera body under the Blackmagic URSA handle. It can also attach to the top of the handle if desired. 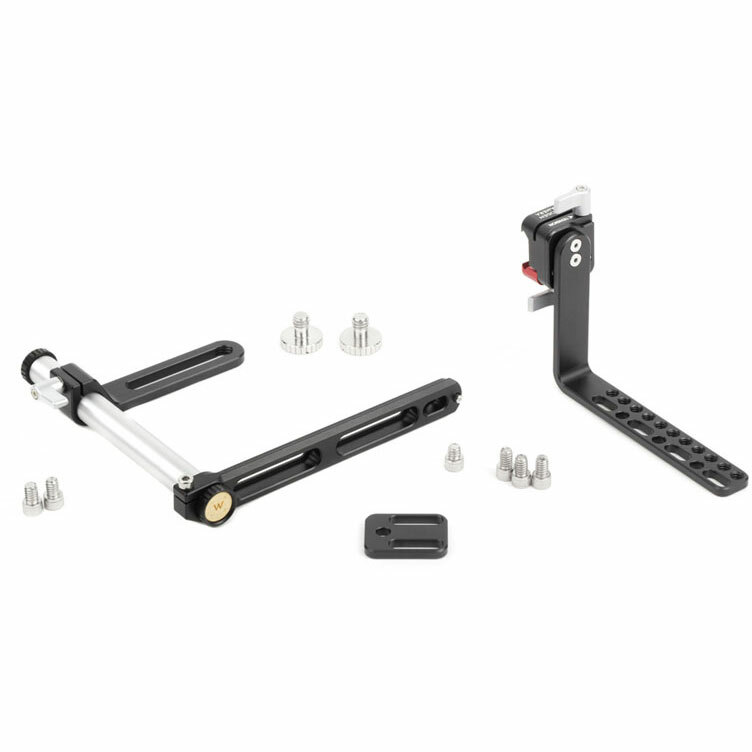 Three points of adjustment: 15mm tube clamp for tilt and distance to the camera, NATO thumbscrew (identified by red component) for positioning on NATO rail, and tension thumbscrew to adjust tilt of LCD. Tool-less design allows quick installation and removal of LCD unit. Safety pin prevents accidental removal. UVF v2 Sled can also attach directly to any NATO-style rail. 15mm Tube Clamp portion attaches to two 1/4-20 screw holes spaced between 25mm and 36mm center to center. The pass through holes and slots on the L bracket accommodate monitors with 1/4-20 holes on top or bottom. A small spacer piece is included for the LCDs with video connection ports and controls on the bottom. NATO Arm length approximately 4"